When I first posted the spoilers back in November, I expressed this thought of basically “How the hell are they going to have enough footage of this if they keep the same amount of episodes considering how much normal stuff we didn’t get this season.” Well that question was surely answered night, and will be again tonight. LIVE SHOWS BOTH NIGHTS! Lets talk to former contestants who pretend not to know what the outcome is and get their slanted/biased takes on the show. Always riveting TV I tell ya’. So they kept the same amount of episodes, but technically they do have less footage that’s airing, since a normal episode on a Monday night is where 80 of the 120 minutes allotted is dedicated to the show. Well, we certainly didn’t have 80 minutes of footage last night considering how much studio time they put in. And tonight I’m guessing will be even less actual footage from Portugal/Spain since there’s only one woman left and no proposal. He’ll talk to Cassie, he’ll take her to meet his parents, they’ll have an overnight, and then no proposal. Just preparing you for a lot of in-studio stuff tonight as well. Demi, Sydney, Onyeka, and Chris Randone will all be there, we’ll get Colton and Cassie together in public for the first time for a couple segments, then we’ve got the Hannah announcement as the “Bachelorette” and then maybe, possibly, meeting some of her guys if they decide to do that again. So yeah, plenty of content to fill the two hours. Since this will be the last time a lot of you visit this site until “Bachelorette” season rolls around, I wanna go over a couple things. Right now, there’s maybe 25-30 spots left for the 5th Annual Reality Steve Fan Appreciation Party taking place Friday, June 7th at the Rio Hotel & Casino in Las Vegas. There’s no cover charge and it’s open to anyone. First come, first serve. So if you still want in, we’re running out of spots. If you’re flying in, your itinerary is your confirmation into the party. If you’re driving, a hotel booking is your confirmation. Vegas people just need to promise they won’t flake. As of now, Ashley Spivey & her husband Steve will be in attendance along with all 4 women from “Temptation Island” – Kaci, Shari, Nicole, and Kady. There is an open bar all night and there will be food as well. I think I’m doing away with the Trivia Contest this year but it will be replaced with something for sure. So if you’re still interested, email me with any of that info to get on the confirmed list. Some podcast updates. First off, the “He Said, She Said” podcast is getting pushed back a week because we only have one call right now, and Ashley and I got too busy at the end of last week to get another one. So if you want to be a part of it and can record Wed, Thurs, Sunday or Monday, email me or Ashley and let us know your situation, the best time for you to record, and what time zone you’re in. As for this week, been about a year, but Sharleen Joynt will be my podcast guest as we talk about Colton’s season and I give her sh** for remaining unspoiled throughout the season. Always love having Sharleen on the show since she’s one of my favorite people from the franchise. In addition, next week’s podcast will be released on Wednesday because I leave for Vegas for my March Madness trip that morning. It will be with the “Again With This” podcast co-hosts, Tara Ariano and Sarah D. Bunting. I screwed up by deleting the first one we did. Won’t happen this time. And with Luke Perry’s unfortunate passing last week, seems like a good time to do it. I know the past couple years I’ve done a March Madness Bracket Pool for free and given a prize to the winner. I still haven’t decided if I’m gonna do it this year. I want to do one with a $10 per bracket, but getting the money Venmo’d, then having to match up each person with how many brackets they filled out is not something that I would look forward to. I’m still deciding. Could be another free one, could be a $10/bracket one and winner takes all, or could be nothing. You’ll know by next week if I decide to do it because I’ll address it here on the site or on Twitter, so stay tuned. As you know, filming for Hannah’s season begins this Thursday. Most of the guys are arriving in LA today. Some are already there. If you saw my tweets over the weekend, you saw that Hannah was shooting a ton of intro video stuff all around Alabama. On campus, at the Bama Theater, etc. So with filming beginning Thursday, Friday is an off day where the men move into the house, then filming every day while in LA. Dates start Saturday, next Monday the 18th is a group date open to the public, Tuesday will be rose ceremony #2, then Wednesday is another group date open to the public, which would be the first date of episode 3. And you know from a previous spoiler I gave that episode 4 will be shooting in Rhode Island at Gurney’s Resort. Since we know episode #4 is in RI, pretty much means they’ll be heading overseas after that. I’ve heard some places but nothing confirmed as of yet. I’ll keep you updated. UPDATE: Filming will now begin this Saturday the 16th instead of this Thursday. These next two days will be a vindication for the spoilers I gave out before you saw your first commercial for the season. I’m also reminded at this same point every year where I realize what a thankless job I have. It’s already started. First off, I’m sure I’m not the only person in America who would not “crucify” Cassie if she says sayonara to this douche. Seriously, stand by your guns chickie, he’s seriously damaged goods. Second, looking at the new guys for the Bachelorette, are the ones holding the babies “daddy’s” of just “uncles”? Asking for a friend…Love you Steve! I’ve not seen last nights episode yet, but my thoughts and feelings about Cassie and Colton’s intentions for doing the programme remain unchanged, if anything they are more solidified. I’ll look forward in hearing what Sharleen has to say about Colton’s season on Steve’s podcast. I’ve agreed with a lot of what she’s had on her blog so far. Steve gets very defensive and a bit rude when people say he’s got a spoiler wrong. I’m sure most are just pushing his buttons to see if he takes the bait. If he was more light-hearted and humorous about getting them wrong, then I think peeps would just leave it. People like his spoilers and it really doesn’t matter if he’s not always 100% correct, you can still watch and find out what really happens. Said it before, will say it again. I come for the spoilers and snark. Steve nailed this season. Getting a minor detail on where something happened wrong is no biggie. Because he got what did happen right. We come for the what happened and when, not where it happened. The where is incidental to what and when. Also, Chris Harrison came off as a giant delta bravo last night. Dude was smug and above it all. He is often likeable, but this season it looks like he’s reached his end with this franchise himself. Honestly, might be time to replace him with a female host. Because the behind the scenes stuff recently and how he has set a tone with the last few events has sucked. His disdain is clear. A freshen up with a new host would be great. Hannah Beast is gonna be a dud. I’m sorry, but it’s gonna be a snorefest unless the guys bring the drama. She’s gonna bring the dazed and confused. But mostly the confused. I skipped last Bach’ette and probably will this one too. Hannah G looked fantastic last night. It should have been her. Well spoken, emotional depth, and intelligent. Tayshia as 2nd choice. Hannah B 3rd choice gets it. Such a bummer. Maybe Chris just didn’t like or didn’t get along with Colton? I’ve heard on a few Podcasts that he hasn’t always liked the lead….sometimes it’s been obvious too. Maybe he thought Colton needed a few home truths as well … with his words to Colton of ‘maybe she (Cassie) isn’t into you’? Maybe Chris was just fed-up with Colton. If these were all of Hannah’s guys I’d say it would be between Connor and Luke P at the end, with Luke P winning. Hopefully the ones not released yet are better looking…………. 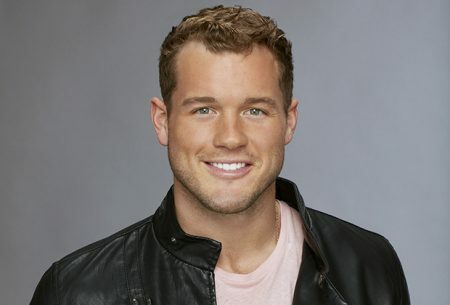 While I agree with most everything you said I disagree on the next pick for bachelorette. Hannah did look gorgeous last night but she Definitely does not seem to be over Colton in anyway shape or form. To me that would cross her off the list for the next bachelorette. How could she search for someone else when she’s not over Colton? I know it has happened before but I don’t think it would have been likely they would’ve picked her. I’ve been reading Steve spoilers for years! He’s hilarious and I love how he dissects this ridiculous show! There may have been worse seasons (not many) but this is definitely the dumbest one. The whole fence jump thing was ridiculous. Why even jump the fence? Just walk out the front door. This is Portugal, not some Kenyan lion reserve. Colton wasn’t fenced in. Just leave if you want. And, so what if he wanted to go for a walk to clear his head. It’s not like he was among crack dealers that would kill him. It’s just a walk. It was totally meant as some sort of dramatic piece to fill time…. and they had a lot of time to fill. And Chris most certainly wasn’t trailing right behind him. By the time Chris got involved (and got his hair and makeup fixed & got his pressed suit on), they knew exactly where Colton was. The live show with the guests, just felt like they completely ran out of things to talk about. Usually that setting would have been for the ATFR episode. So, now that they’ve done that, what’s tonight? Its not going to be two hours of Colton talking to Cassie. It’s going to be more guests, more stupidity, the announcement of the Bachelorette, and some drawn out scenes to fill time. So stupid. Why is this bizarro weirdo Hannah B the bachelorette? She isn’t compelling st all, no story, no appeal and is a straight up freak. At least Hannah G has a compelling storyline. Hannah B roaring was one of the most unattractive acts ever witnessed on this show. Ugh, I can’t stand Colton. What a man-child with his big, fat baby face crying all the time. He’s so selfish, dumping Taiysha and Hannah and making it all about himself. Cassie was also cold in dumping him. She seemed unfazed about the breakup when she was packing up and leaving – can’t wait to get back to my family and friends. LOL Now she’s going to turn around and have a relationship with this man-child. No wonder he’s a virgin; he’s so immature or maybe that’s why he’s immature. Has never had an adult, intimate relationship with a woman before. It’s like he’s in middle school. I thought about the possibility of Hanna B being the next Bachelorette as well. And to me it was unthinkable because the last couple of times she was talking on the show she had a really hard time finding words, sounding intelligent and well spoken. I am sure alot of nerves can play in to it. But if you towards the end of your part in a TV production still have such an issue with communicating fluently and getting some kind of a point accross (that doesn’t sound coached). How interesting and sincere can you come off, if all eyes are on you to speak, have a personality, for a whole season? And come to think about it. The only time she showed some kind of fire and drive when talking, was when talking trash about, being in conflict with another pageant girl. What does that indicate? I sure hope she gets some coaching so it doesn’t just become huge smiles with little to say (beauty queen circa 1950s), with dreamy eyes talking about what you look for in a man. Because as it is now, it is hard to buy into the sudden ”but look at me I’m working on getting more depth than my pageant background has shown this far”. That kind of huge change since just months ago when it looked like she was still living in a world where what was most important was that another Miss America contestant didn’t win over her. Nah, just doesn’t feel realistic to me. I’d rather see someone seamingly more humble, witty, intelligent, already mature, from another season as an option actually. Like the blonde girl from Nashville that were friends with Wells. Can’t remember her name now. I am probably totally wrong and Hanna B is just looking like a fairly immature pageant girl that turns into a mean gossip if someone else places higher than her (”I don’t want to talk bad about anyone else, but…” That kind of gossip where you say A but never B so you can get way with it). Or there simply aren’t options enough for the Bachelorette and they thought ”well, she is coachable ta least”. Agree. The amount of times they tried to milk that whole ”he jumped the fence” and the virgin obsession, during the entire season. It just became like a joke in the end. Only not even funny. Talk about a hint that it actually was hard to push it as an interesting or great season with interesting people. When you have to use a jumping over a fence (what is the big deal) and someone being a virgin as hooks from start to finish.